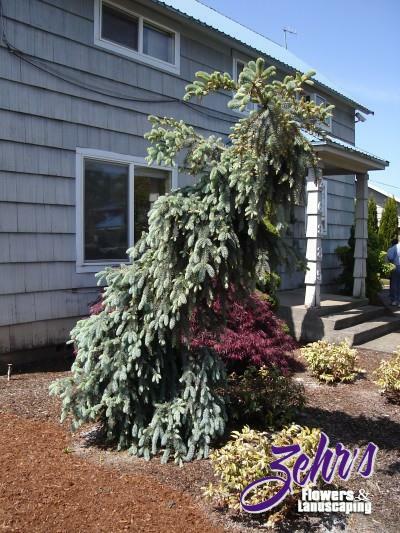 More upright than prostrate, this blue spruce has a graceful upward, yet weeping habit and a strong electric blue color. Average growth rate is 8-10 inches per year; no pruning or shaping is required. Slenderina creates a spectacular specimen in the landscape.